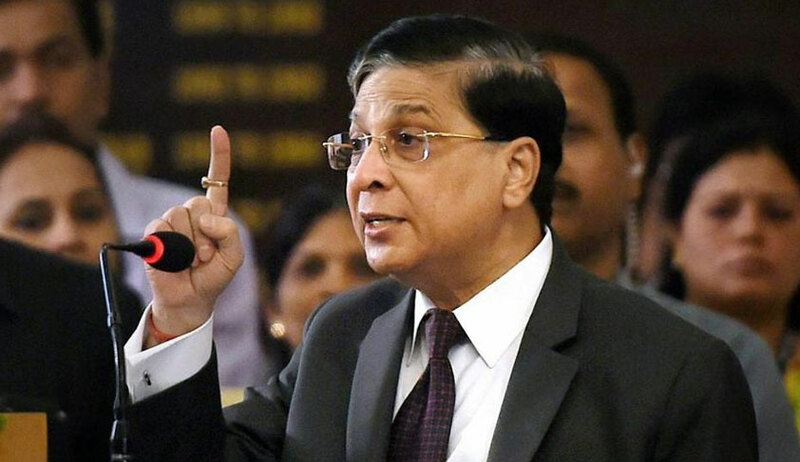 As per para 7(ii) of the in-house procedure, the CJI will now recommend initiation of Justice Shukla's removal since he refused to either resign or take voluntary retirement. With the dark shadow of medical college admission scam hovering over Justice Shri Narayan Shukla of the Allahabad High Court, all judicial work has been taken away from him following the orders of Chief Justice of India Dipak Misra, reports Times of India. The move comes after a three-judge in-house committee formed by CJI returned its findings against Justice Shukla. Justice Shukla had allegedly permitted a private medical college admit students for academic year 2017-18, despite orders against it by the Medical Council of India and the Supreme Court. A complaint was made to the CJI last year, following which CJ Misra constituted an in-house committee comprising Madras High Court Chief Justice Indira Banerjee, Sikkim High Court CJ SK Agnihotri and Madhya Pradesh HC judge PK Jaiswal. According to the TOI report, the inquiry committee found that Justice Shukla had "disgraced the values of judicial life, acted in a manner unbecoming of a judge, lowered the majesty, dignity and credibility of his office". As per para 7(ii) of the in-house procedure, the CJI will now recommend initiation of Justice Shukla's removal since he refused to either resign or take voluntary retirement. The CJI will need to intimate the President and the Prime Minister about his move of taking away all judicial work from Justice Shukla. The Rajya Sabha chairperson will then appoint an enquiry committee whose finding will be the basis of removal motion in the upper house, it will then be taken up by the Lok Sabha. A CBI probe into the matter had led to the arrest of Orissa High Court’s former judge IM Quddusi. The case also became the genesis of the unprecedented move by four senior-most apex court judges speaking out against the allocation of work after controversy over who will hear PILs relating to the medical college admission scam.